The European Ibogaine Forum will take place in Vienna from September 8-10. The conference will bring together some of the leading researchers in the science and therapeutic use of Ibogaine. The forum aims to raise awareness of the beneficial properties of this unique plant-derived medicine in Europe, to stimulate further research interest, support advocacy in different contexts as well as discuss the use of ibogaine as a therapy for addiction, neurodegenerative disorders, as well as a catalyst for spiritual development. The forum has the goal of making this sacred tool better known, safer as well as more sustainably and ethically sourced. We intend to invite a wide range of speakers and guests from a variety of backgrounds in order to stimulate a rich dialogue about ibogaine, develop ways of integrating it in our culture and explore how they can be incorporated into a medically approved context. 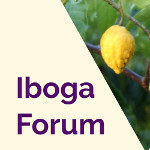 The forum is a non-profit event organised by a small team of volunteers passionate about ibogaine and promoting its beneficial properties. The conference is intended to complement the important work of ICEERS and GITA in bringing ibogaine to the world. The conference venue is the Am Spiegeln in a tranquil setting to the south of the city centre. is a open-source platform organising conferences and network-meetings for the psychedelic subculture. Since 2003, these congresses are the largest forum of the Psychedelic Community in the German-speaking world. They take place every 2 years in Berlin – Germany. Valuable news from neuroscience and psychology to politics and art are shared to evaluate the possibillities of a free, legal and beneficial handling of entheogenic substances. The adjective entheogen is composed of the Greek terms (en = in), (theos = god) and (genesthai = to cause). The term was coined by Gordon Wasson and Jonathan Ott et al. It describes substances with transformational properties that are used in a spiritual context. A cultural study by Felicitas Goodman and Erika Bourguignon showed that 437 out of 488 societies are using altered states of consciousness to contact the spiritual realms. Lots of the problems that western society faces are due to a loss of this connection. Entheogens can catalyze a reconnection and by that stimulate helpful and beneficial insights.